At JR-Tech we know that referrals are the greatest form of flattery. If you know someone who needs help with their business technology, do them a favor and put them in touch with us. 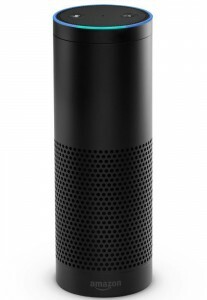 After your referral becomes a client, we’ll send you the Amazon Echo! Ideally, we’re looking for business owners and executives who have 15-500 employees, and letting them know we’ll be calling them will help to ensure your gift card. Even if you don’t use the form, but tell someone to call us instead- as long as they let us know that you referred them, you’ll still get the gift cards. Also, you can use the form below to request specialized referral business cards to pass on to your friends, colleague, vendors, clients, etc.